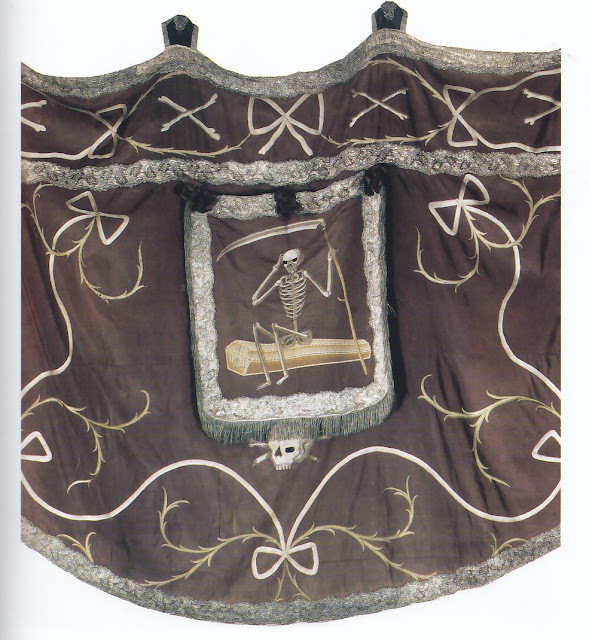 All Souls Day is a time of the liturgical year when the laudable custom of black vestments comes into particular focus. 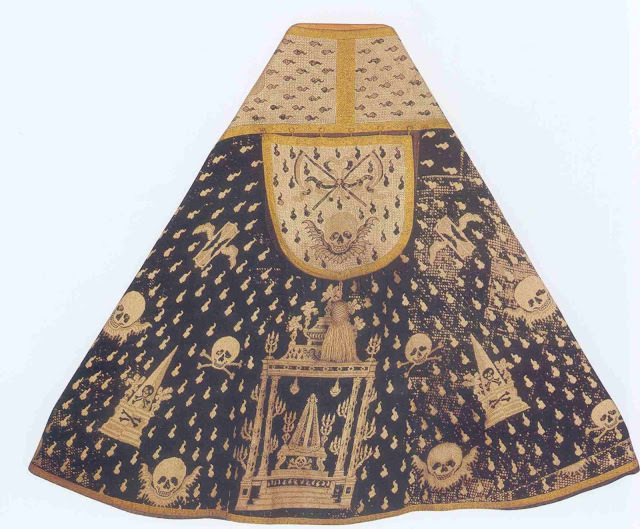 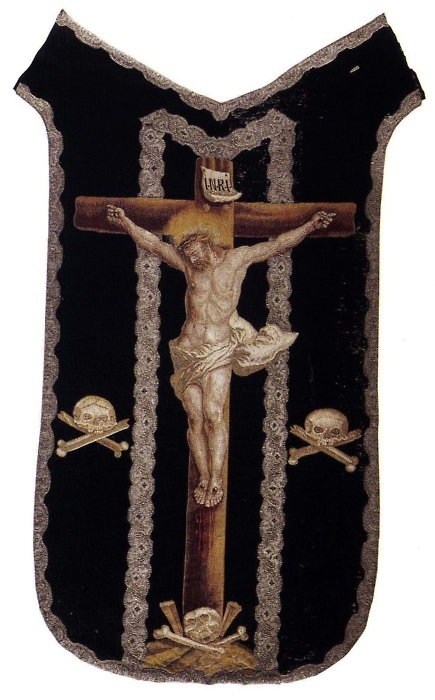 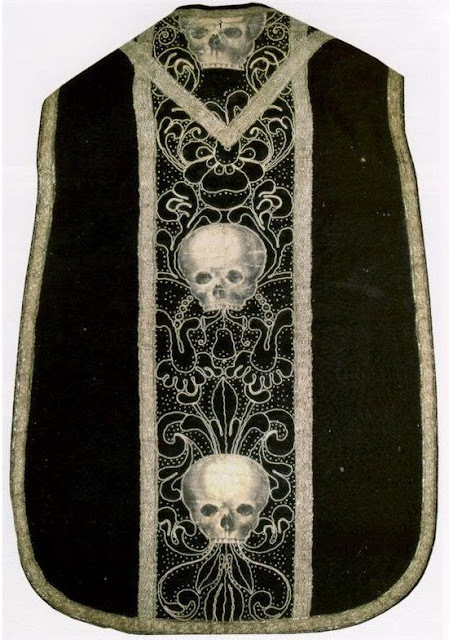 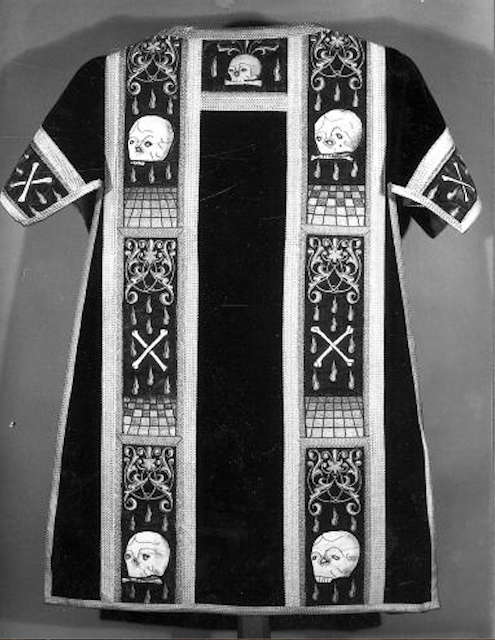 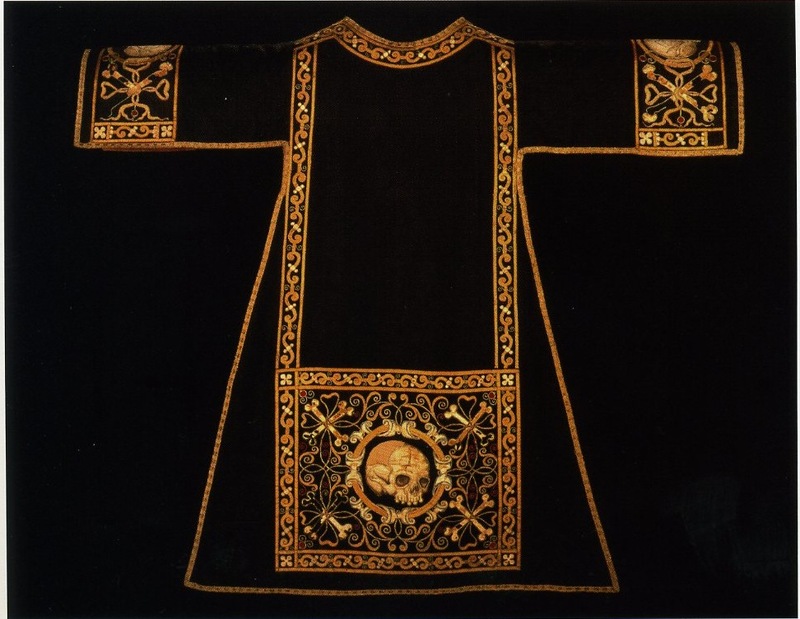 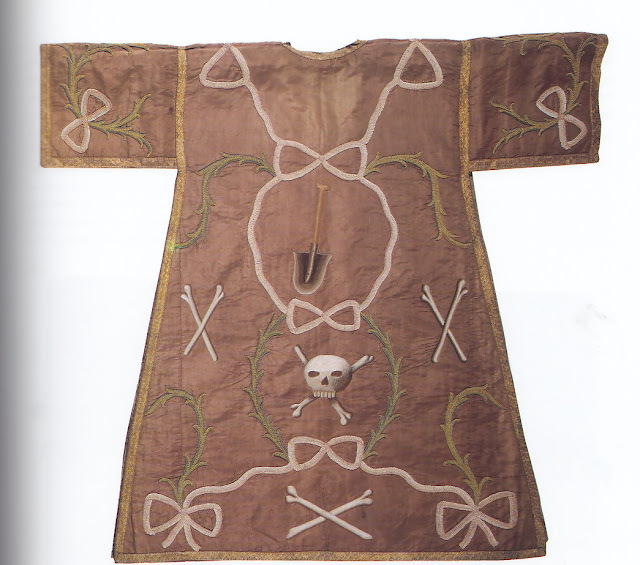 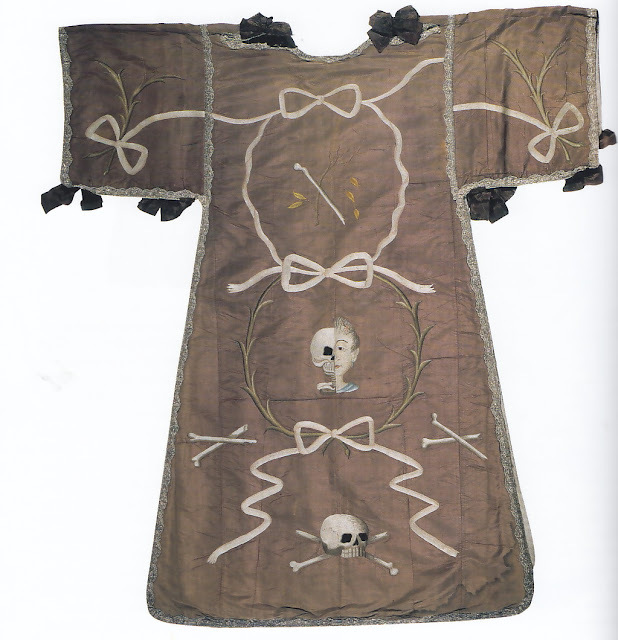 To mark this liturgical occasion I wished to share some unique, historical black vestments with you today. 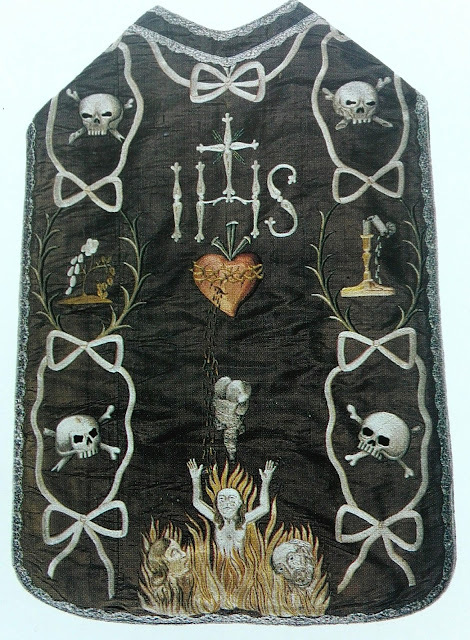 The symbolism found on each of these is particularly striking, featuring skeletons, purgatorial fires, even shovels and coffins. 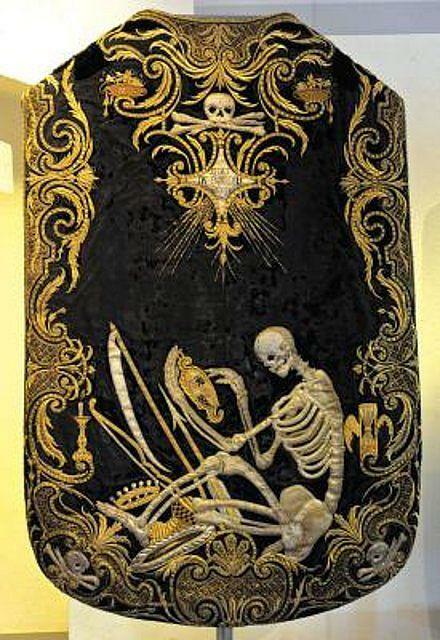 Some might, of course, see such symbolism as "macabre" but that reaction seems to me to come from a modern sensibility which wishes to hide away the realities of death. 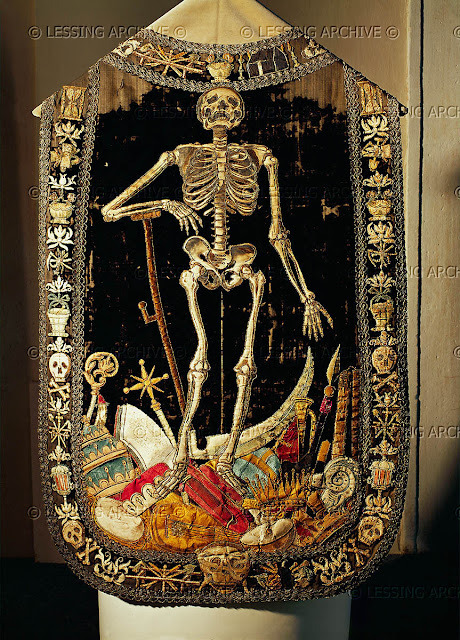 These are not macabre in my estimation, but they are memento mori -- and perhaps the fact that we wish to tuck away such remembrances and realities shows that we are in particular need of being reminded of them today. 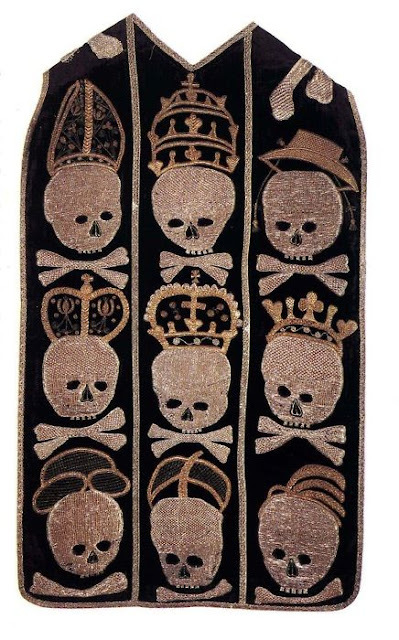 The symbols here represents the fact that death takes all, from kings to popes and prelates. A consistent theme can be found in many of these which juxtaposes death, as symbolized in the skeleton, with various symbols of worldly pomp, power and wealth. 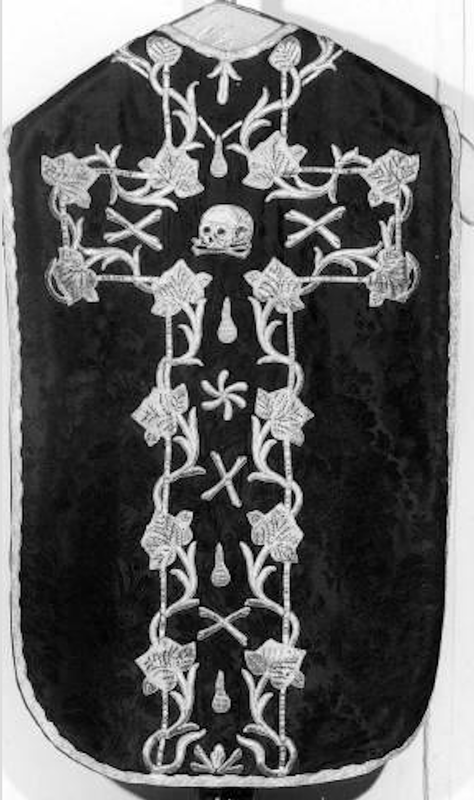 The particular cut of this chasuble is not particularly edifying admittedly, however the decorative elements are quite stunning.